Motion detection alerts. Lights that turn on when you walk in the door. All within one app and easy-to-use system. But is SmartThings Worth it? The reason people love SmartThings is how seamlessly it works straight out of the box without monthly fees – instead of piecing together hardware from different manufacturers, you can crack open one easy-to-use kit and have it monitoring your home in under an hour. Plus, it solves the obnoxious problem of needing individual apps for each smart home technology in your home. Nobody wants to open different apps for controlling each and every appliance in their home. Even if you’re not a DIY-er, you can still get SmartThings working with a huge variety of smart home devices and manage them all within one app. Let’s go through how to get started with SmartThings and what it can do for your home. 1 Is SmartThings Worth it? 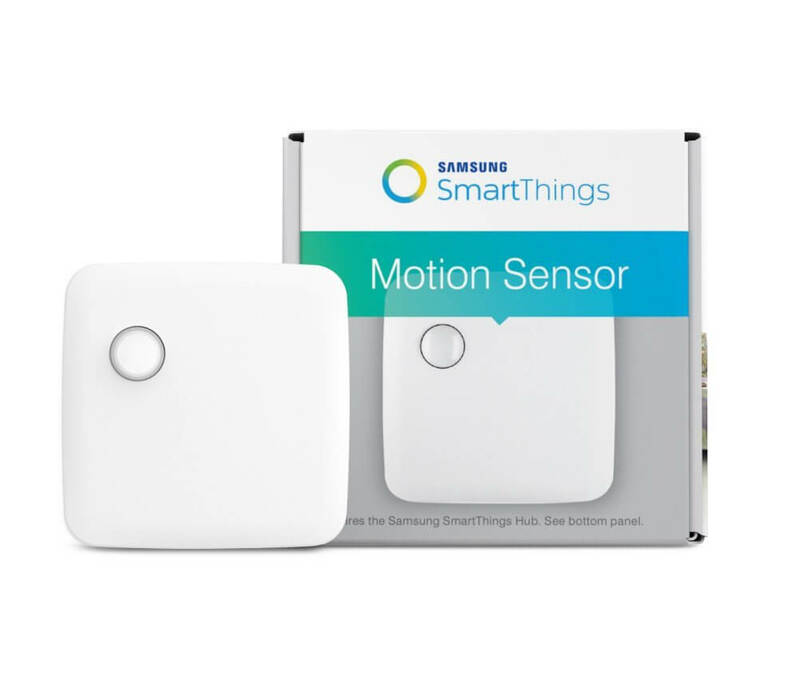 1.0.7 Is SmartThings worth it and right for you? Amazon has a wide variety of SmartThings equipment, but before you dive in and buy extra accessories, make sure you get a hub. The SmartThings hub plugs into your router and is what makes your sensors, cameras, lights, and everything else connect to the Internet. Without a hub, your SmartThings technology is just some fancy-looking plastic. Plug the hub into the wall and connect it to your router via the included Ethernet cable. The hub comes with four AA batteries, which give 10 hours of backup power to keep your home secure with your system working even during a power outage. There are several options for getting your hub (note that prices on Amazon fluctuate and I’m only listing today’s prices). If you decide to get a kit instead of a hub, SmartThings offers several bundles depending on what you’re looking for. Each kit and bundle comes with a hub. The Home Monitoring Kit also comes with sensors to make sure your doors and windows are shut, along with a motion sensor and smart outlet for controlling lights, electronics, and small appliances. 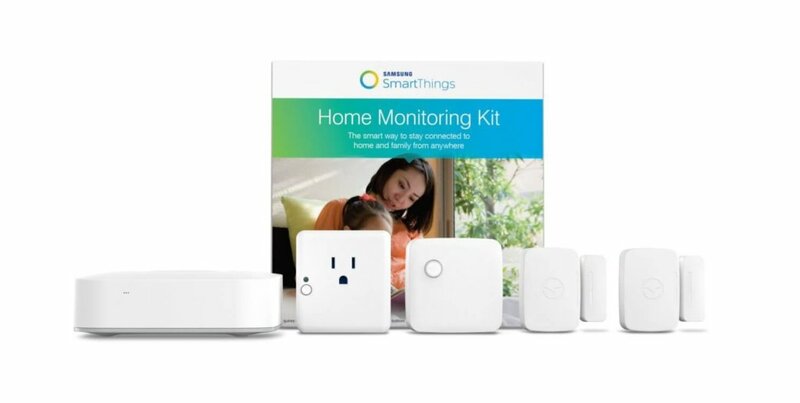 The Monitoring and Security Starter Bundle includes everything that’s in the kit, except for the smart outlet, which is why it’s sold at a lower price tag. Other bundles include the Convenience and Entertainment Starter Bundle, which comes with 2 multicolor smart bulbs, a motion sensor, and an optional outlet, and the Lighting and Energy Bundle, which has 2 white bulbs and a motion sensor. Overall, the SmartThings Beginner’s hubs and kits are great for starting out and outfitting your home. Next in deciding is SmartThings worth it is installation. With the Home Monitoring Kit, installation is fairly easy and quick. By downloading the app, you can connect devices and set your geofence to let SmartThings know when you leave your home area. Once everything is set up, you can set “rules” that take place once you’ve left home. For example, you might have SmartThings turn off your lights, arm your security cameras, and turn down your thermostat. Once SmartThings detects your sensors and devices, you can place them around your home and then organize or name them within the app. It’s important to remember that the sensors with SmartThings aren’t only for security, like in traditional security systems; they are also for home automation. For example, you might think to put a sensor in your home entryway for security purposes, but that might not be the best spot for home automation. If placed in a living room, sensors can secure the area while also automatically turning on lights, boosting the thermostat, or following whatever rules you set for motion detection. This video by SmartThings is super helpful for unboxing and setting up a kit or bundle in your home. There are three settings for securing your home with SmartThings. Arm (Away): Designed for when the home is empty, Arm Away puts your home in full monitoring mode, with any motion detection sending alerts to your phone. Arm (Stay): Perfect for when you and your family are sleeping and want to monitor doors or windows with multipurpose sensors. In this mode, you will only receive alerts if these multipurpose sensors go off, alerting you that someone just opened a window downstairs. Disarm: This disarms the entire system so that you receive no alerts. Ideal for when you are home and busy during afternoons and evenings. You can easily personalize these settings using the smart home devices you own. For example, in Arm Away mode, you might want your security camera to alert you immediately if it detects motion. These customizations are easy using IFTTT, which we’ll talk about more in a second. Amazon Echo: It’s the hot new product in the smart home market. You can use SmartThings with Echo to control your smart devices with your voice. WeMo switches: WeMo smart switches can track energy usage and make any small appliance smart. Bose speakers: Control and automate your Bluetooth speakers within SmartThings. Ecobee3 smart thermostat: Automatically have your thermostat turn off when you leave and turn on again when you get home. Kiwkset smart door lock: Easily lock and unlock your door within the app, or hook it up with other devices like Amazon Echo to unlock your door with your voice. 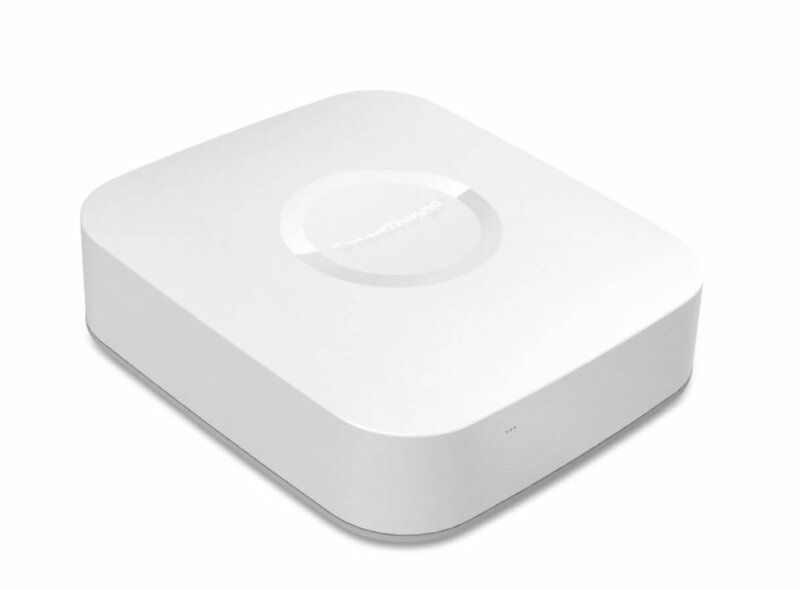 Besides connecting via your Local Area Network or a cloud connection, SmartThings is also Z-Wave and Zigbee compatible. Z-Wave and Zigbee are two communication protocols using low-power radio frequencies. This opens up compatibility with products like GE outlets and Kwikset door locks via low-power radio signals. Sounds too complicated for just trying to decide is SmartThings worth it, but actually the SmartThings sensors, hubs, and outlets that come in the starter pack all work on Zigbee. No matter how they connect with your SmartThings hub, all devices can be set up within the app, under the Things tab, by clicking the plus sign and clicking Connect New Device. Ever heard of IFTTT? It stands for If This Then That, and it’s the free software that helps you automate your home. In IFTTT, certain rules, called “recipes,” help your home do things on its own. Combining IFTTT with SmartThings will make your home feel like something from the future. 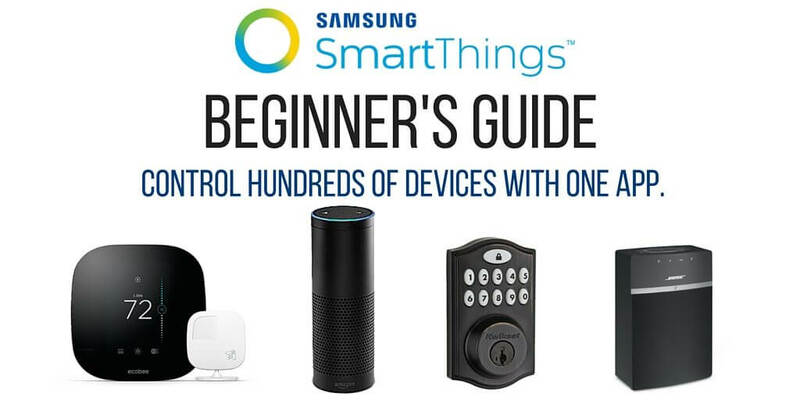 Here are a few of my favorite SmartThings Beginner’s recipes with IFTTT to get you started. Is SmartThings worth it and right for you? If you want to dip your toe into the swimming pool of smart home tech, look elsewhere. There are plenty of bulbs and devices not requiring a hub that will still work with Amazon Echo – one example is LIFX. Of course, you’ll have to accept the fact that you will have separate apps for each device. If you’re ready to dive head-first into smart home technology, SmartThings is meant for you. It’s definitely a commitment to get a hub and stick with it, but SmartThings is one of the best hubs you can choose. It’s got Z-Wave and Zigbee capacity, with more and more compatible devices getting added frequently. 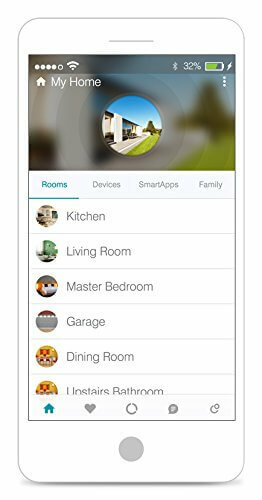 SmartThings helps your entire home work together effortlessly in one app. It really gets us excited for the future of smart home technology, which looks like it’s finally making sense. So what do you think- is SmartThings worth it? To discover SmartThings compatible products matching the features you’re looking for, head to our Smart Home Solver. It takes just 30 seconds to build your personalized smart home, without any email or sign up required.